The title of this blog is what I say at the box office. I go to the movies at a random time and I ask ”what is showing next?” and if I have not seen it already I get a ticket and go in. These are the reviews of the random movies I see. I am Jon Rutledge, a man ,trying to find a little entertainment in-between obligations and life. This Blog is dedicated to movies. I enjoy falling into a really good one. Like me and get updates on Facebook. I thoroughly enjoyed the first Creed, it was a great way to bring a new spin on the old Rocky Movies. When I heard they were going to do a sequel I admit I was excited but also a tad scared. I find rarely do the sequels stack up to the original. 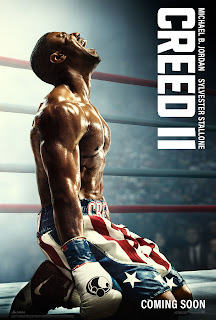 Creed II continues the journey and ties in some of the lore of the previous films. Some advice for Studios and filmmakers. If you have more good story to tell you need to do a sequel, if you see the first one made money and you have no story, DON'T DO A SEQUEL. 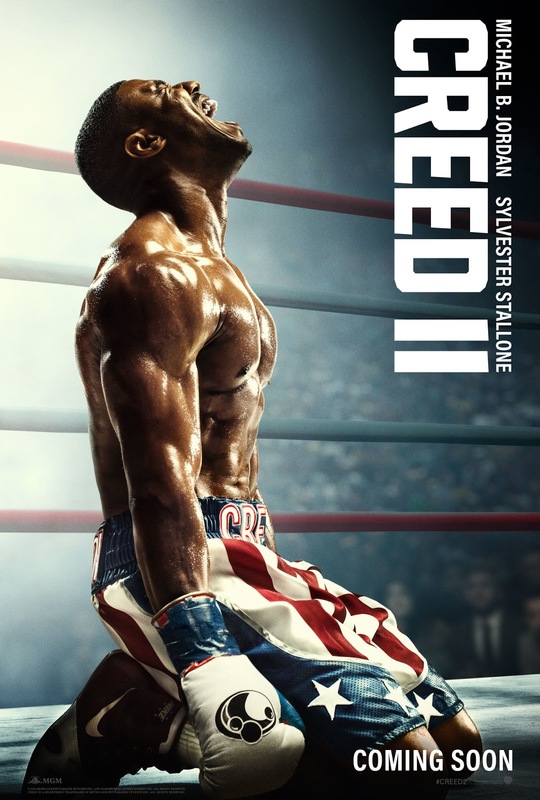 Creed II has a lot of great engaging character development to tell. Read my review here at BlackFlix.